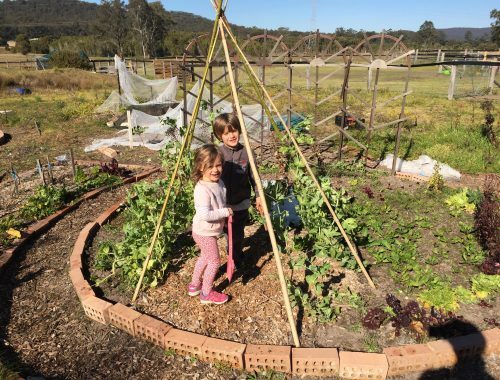 Making a bamboo tepee is an easy way to add a trellis for climbing peas or beans while making a fun hideout for the kids. I harvested 3 bamboo stems at 4m lengths and cut them in half. 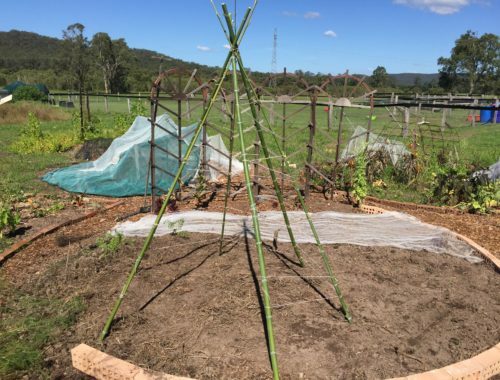 Using string, the 6 stems were tied together about 15cm from the top, running the string around 6 sides for the peas to hold onto. I left one side open as a door so the kids could go inside and feast on peas. 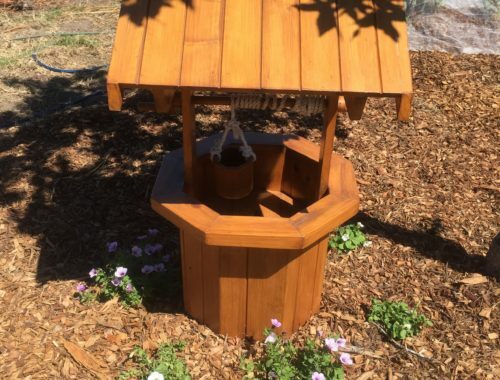 The veggie patch wishing well, part of the kids sensory garden.